“The words ‘null and void’ may be interpreted as referring to those cases where the arbitration agreement is affected by some invalidity right from the beginning, such as lack of consent due to misrepresentation, duress, fraud or undue influence. The word ‘inoperative’ can be said to cover those cases where the arbitration agreement has ceased to have effect, such as revocation by the parties. “Most authorities hold that the same schools of thought and approaches regarding the term null and void also apply to terms inoperative and incapable of being performed. Consequently, the majority of authorities do not interpret these terms uniformly, resulting in an unfortunate lack of uniformity. The term inoperative refers to cases where the arbitration agreement has ceased to have effect by the time the court is asked to refer the parties to arbitration. For example, the arbitration agreement ceases to have effect if there has already been an arbitral award or a court decision with res judicata effect concerning the same subject-matter and parties. 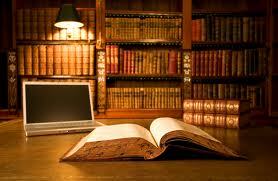 However, the mere existence of multiple proceedings is not sufficient to render the arbitration agreement inoperative. Additionally, the arbitration agreement can cease to have effect if the time-limit for initiating the arbitration or rendering the award has expired, provided that it was the parties’ intent no longer to be bound by the arbitration agreement due to the expiration of this time-limit. Thus the arbitration agreement does not become “inoperative or incapable of being performed” where allegations of fraud have to be inquired into and the court cannot refuse to refer the parties to arbitration as provided in Section 45 of the Arbitration and Conciliation Act, 1996 on the ground that allegations of fraud have been made by the party which can only be inquired into by the court and not by the arbitrator. N. Radhakrishnan v. Maestro Engineers, (2010) 1 SCC 72 and Abdul Kadir Shamsuddin Bubere v. Madhav Prabhakar Oak, AIR 1962 SC 406 were decisions rendered in the context of domestic arbitration and not in the context of arbitrations under the New York Convention to which Section 45 of the Act applies. In the case of such arbitrations covered by the New York Convention, the court can decline to make a reference of a dispute covered by the arbitration agreement only if it comes to the conclusion that the arbitration agreement is null and void, inoperative or incapable of being performed and not on the ground that allegations of fraud or misrepresentation have to be inquired into while deciding the disputes between the parties. World Sport Group (Mauritius) Ltd. V. MSM Satellite (Singapore) PTE Ltd., (2014) 11 SCC 639. The Apex Court in the case of People’s Union for Democratic Rights v. Union of India, (1982) 3 SCC 235, has observed that the public interest litigation is a co-operative or collaborative effort by the petitioner, the State or Public Authority and the Judiciary to secure observance of Constitutional or basic human rights, benefits and privileges upon the poor, downtrodden and vulnerable sections of the Society. Public interest litigation means a litigation to espouse Public Interest. Hon’ble Supreme Court in Janta Dal v. H.S. Chowdhary, AIR 1993 SC 892, held that ‘Public Interest’ does not mean mere curiosity. Prakash Chand Srivastav v. State of U.P., 2014 (3) ESC 1665. The Constitution Bench in Secretary, State of Karnataka v.Uma Devi, (2006) 4 SCC 1, has held that illegal appointments cannot be asked to be regularized as that would amount to violating the fundamental right of equal opportunity of employment to those who have been denied such opportunity. The Constitution Bench decision has overruled dozens of earlier decisions taking a view otherwise so as to show sympathy in favour of those who got or managed their appointments illegally, i.e., without complying the requirement of equal opportunity of employment to all others, came to the office on account of their individual resources and managing continuance for quite some time or long time, then claim a substantive right on the basis of long tenure, they have managed to continue. In other words, the incumbent comes to the office by virtue of a pick and choose method, usurps office by back door or whatever other term one may use, despite obviously it being short of compliance of requirement of Article 16(1) of the Constitution of India, but having maintained such benefit to continue for quite some time which normally has the support of appointing authorities also, the beneficiary comes to claim a sense of sympathy on the basis of such long continued usurpation of office. In other words, a violator of law claims a substantive right for having violated law continuously for quite a long time with regard to a public office. In the matter of appointment there is no principle of adverse possession but a plea somewhat similar thereto many a times is raised that since one has continued to work for quite long time, now he should be allowed to stay in the office for rest of tenure otherwise his family would suffer. A situation is created where sympathy is sought not in favour of victims, i.e., those who were denied right of equal opportunity of employment but in favour od those who have violated law, contravened it, breached it with impunity and have continued to do so for quite some time, and now, boldly and blatantly claim a kind of right to retain such benefit of breach of law, for all times to come, and for that purpose, various pleas in the name of equity, sympathy, compassion etc., are raised and pleaded. Many a times, such claim has found favour in the Courts of Law. Fortunately, the Constitution Bench, after having a retrospect of all earlier authorities, has taken a clear stand against such kind of favour shown to those who have come in public office, by denying right of equal opportunity to others. The Court in unequivocal terms has observed that any favour shown to such violators would be a misplaced sympathy. Regularisation Rules, if any, is an attempt to give a cover to such illegal appointments and therefore, may have to be tested on the anvil of Constitutional validity under Article 14 and 16(1) of the Constitution. Devi Prasad Misra v. State of U.P., (2014) 3 UPLBEC 2436. Shop.—a building or part of a building where goods or services are sold. According to Wharton’s Law Lexicon, 14th Edition (1993), a “shop” has been said to mean: a place where things are kept for sale, usually in small quantities, to the actual consumers. Worcester defines a shop as a place, building or room in which things are sold; a store. Salomon v. Pioneer Coop. Co., 21 FLA 374: 58 Am Rep 667 (1885). “The word shop appears to be derived from the old high German ‘schopf’ or ‘scopf’which meant a building without a front wall. It is a term of various significance, and has many definitions, and it may have different meanings when used with different texts. In it’s popular sense, as well as it’s legal meaning, the term shop is not confined to a store, and it may include both a store and a workshop. From the above it can be said that a “shop” is a place of business or an establishment where goods are sold for retail. However, it may be noted that the definitions as given in the dictionaries are very old and may not reflect, with complete accuracy, what a “shop” may be referred to as in the present day. In Hindu Jea Band v. ESI Corporation, (1987) 2 SCC 101, it is observed that a “shop” would be a place where services are sold on a retail basis. In International Iron Ore and Fertilizers (India) (P) Ltd. V. ESI Corporation, (1987) 4 SCC 203, the Hon’ble Apex Court stated that a “shop” would be a place where the activities connected with buying and selling of goods are carried on. In Cochin Shipping Company v. ESI Corporation, (1992) 4 SCC 245, the Court observed that a “shop” must be held to be a place where commercial activity of buying and selling of merchandise takes place. In ESI Corporation v. R.K. Swamy, (1994) 1 SCC 445, the Court extended the meaning of a “:shop” to include even sale of services. Therefore, certain basic features of a “shop” may be culled out from the above. It can be said that a “shop” is a business establishment where a systematic or organized commercial activity takes place with regard to sale or purchase of goods or services and includes an establishment that facilitates the above transaction as well. In view of the fact that an “establishment” has been found to be a place of business and further that a “shop” is a business establishment, it can be said that a “shop” is indeed covered under, and may be called a subset of, the term “establishment”. Royal Western India Turf Club Limited v. ESI Corporation, (2014) 9 SCC 657. “Entertainment denotes that which serves for amusement and ‘amusement’ is defined as a pleasurable occupation of the senses or that which furnishes it, as dancing, sports or music. Young v. Broadwater County High School, 4 P 2d 725 : 90 Mont 576 (1931). Therefore it can be safely concluded that “entertainment” is an activity that provides with amusement or gratification. Further, it would include public performances, including games and sports. Therefore, it can be said that horse racing is indeed a form of entertainment. Bangalore Turf Club Ltd. V. Regional Director, ESI Corporation, (2014) 9 SCC 657. The expression “relative of the husband” has been used in Section 498-A I.P.C. While interpreting the said expression, the Hon’ble Apex Court in U. Suvetha v. State, (2009) 6 SCC 757 held it to mean a person related by blood, marriage or adoption. In the absence of any statutory definition, the term ‘relative’ must be assigned a meaning as is commonly understood. Ordinarily it would include father, mother, husband or wife, son, daughter, brother, sister, nephew or neice, grandson or granddaughter of an individual or the spouse of any person. The meaning of the word ‘relative‘ would depend upon the nature of the Statute. It principally includes a person related by blood, marriage or adoption. It is a well known rule of construction that when the legislature uses the same words in different parts of the Statute, the presumption is that those words have been used in the same sense, unless displaced by the context. Hence, the expression “relative of the husband” in Section 304-B IPC would mean such persons, who are related by blood, marriage or adoption. State of Punjab v. Gurmit Singh, (2014) 9 SCC 632. The time limit for filing a petition for appointment of an Arbitrator under Section 11 of the Act has not been provided either under the Act or under the Limitation Act specifically. The request to the Chief Justice or his designate by way of application would fall within the definition of “application” contained in Section 2(b) of the Limitation Act, 1963. Therefore, the Article 137 of the Limitation Act comes into play and the limitation for seeking appointment of an Arbitrator under Section 11 would be three years from the date when the right to apply accrues. The observations of the Hon’ble Apex Court in S.B.P. and Company v. Patel Engineering Limited, (2005) 8 SCC 618, as explained and clarified in Indian Oil Corporation Ltd. V. S.P.S. Engineering Limited, (2011) 3 SCC 507, makes it clear that the Chief Justice or his designate is competent to decide if the claim sought to be resolved by arbitration is stale or dead or is long time barred though it is not imperative upon him to enter into the said exercise. It can be left to be decided by the Arbitral Tribunal if it appears to be slightly overtime. However, where the claim is evidently and patently dead or long time barred and does not involve entry into disputed questions of fact or evidence, the court may refuse it to refer to arbitration. Thus, it is only in case where there is a genuine dispute regarding limitation and the claim is slightly beyond time that the matter should be left to be adjudicated by the Arbitral Tribunal but not where the claim is apparently barred by limitation. Sureka International v. Union of India, 2014 (5) AWC 5106.